Lots of players have been asking what kind of support for wheels Spintires: MudRunner will have. We’ve decided to take this opportunity to let you know exactly how we will be supporting wheels in the game. Any other wheels should work with Spintires: MudRunner, but we don’t officially support them. With regards to the steering wheels that we’ll be supporting on consoles, we don’t plan to support wheels when the game launches on October 31st, 2017. 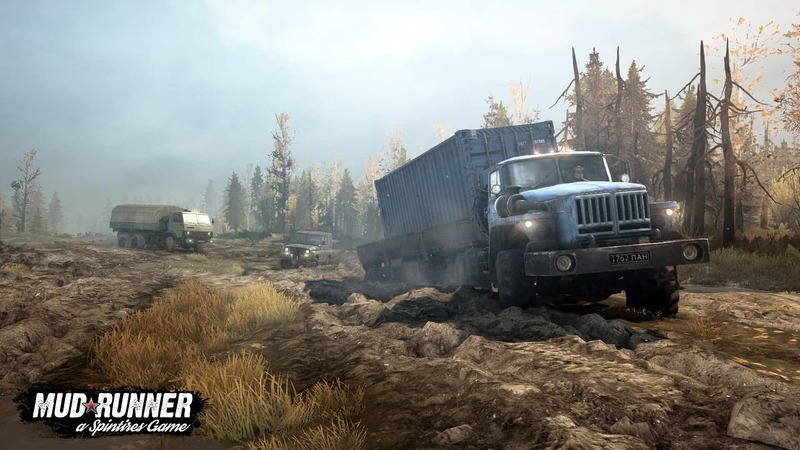 We do plan to support wheels later on after launch, however, and all wheels that are officially supported in the PC version Spintires: MudRunner will be compatible with the PS4 and Xbox One versions of the game. As on PC, other wheels should work as well, but we won’t officially support them on consoles, either. On consoles, obviously, you’ll be able to use the controllers that typically work with the console. You won’t be able to use ones that don’t normally work, so no Xbox One controller for PS4 Spintires: MudRunner, or vice versa. so I dont understand will there be any mods on console edition? Can you Play it on ps4 with a thrustmaster t300 ? I don’t plan to buy the game until there is wheel support on Xbox one, and I’m assuming there won’t be a big announcement for something like that. Any estimate when all this will happen? Is this just laziness on the coding side because this happens with quite a lot of driving games you’d expect to have a wide selection of wheel support. You’d be surprised how many people buy the game because it supports a steering wheel. I won’t buy project cars but GT had the support soni bought that. Even sometimes you can get a game which is better all round than another but because it has no steering wheel support it loses an element of fun. I can see quite a lot of gamers not bothering to buy this game because of extra coding. When will someone answer our questions about wheel support? I have a g29 wheel on the pc. It is not recognised by the game despite the latest Logitech driver. Windows 7 recognises it no problem. is it a game fault ? Anybody tried it on ps4 with an racing wheel yet? Any updates if the Xbox one version is compatible with Thrustmaster TX? Why force feedback not supported in Console PS4 with G29 ? is there any update might enable this feature ? using steering wheel with default setup is really hard .